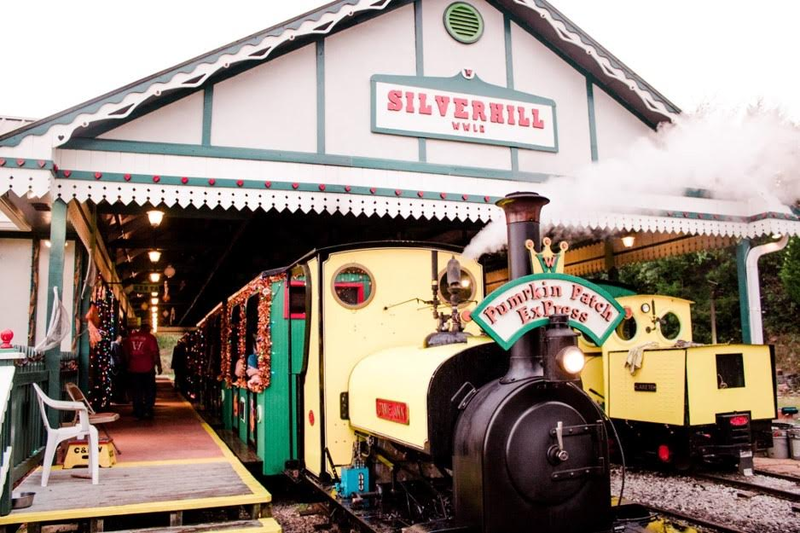 ALL aboard the 2018 Pumpkin Patch Express and Scary Night Train at Wales West, September 28 through October 31, 2018. Ride an authentic Steam Train to the Haunted Barn to our Maze and Kiddie-Friendly Pumpkin Patch, decorate a Free Pumpkin, enjoy the Mini-Train Ride, Hay Ride, Refreshments, and Bounce House.. Exciting Pumpkin Cannon, Petting Zoo/Pony Rides, Cafe, and Gift Shop available for a slight fee. SCARY NIGHT TRAINS BEGIN AT 7 PM.